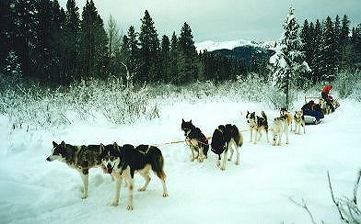 In January 1999, Glenn went back to the American Rockies aiming to cross the Great Continental Divide by driving his team of huskies. However, due to events that were completely out of Glenn's control, (his guide had an accident) the planned trip was stopped it's tracks. During this trip he also had to get to grips with the idea of being high in the mountains again after his fall in the Himalayas. This mental obstruction was overcome with a degree of fear and trepidation. 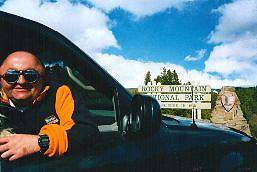 Having now completed a sort of come back expedition, on the 26th April 1999, Glenn returned to his beloved American Rocky Mountains. 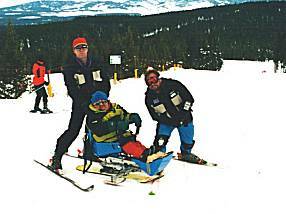 His first aim was to continue the testing of his now rebuilt off-road wheelchair 'The Snowmobile'. He had to contend with very changeable weather conditions, some days he was faced with heavy driving snow, followed by heavy rain storms, or if he was very lucky bright sunshine and clear blue skies. Anyhow, The Snowmobile worked out just fine. With this testing out of the way, Glenn turned his attention to completing his husky trip. This turned out to be another failed attempt, because of the rapid snowmelt and just to compound matters his guide was still not 100% fit, so Glenn had what most people would call a holiday. 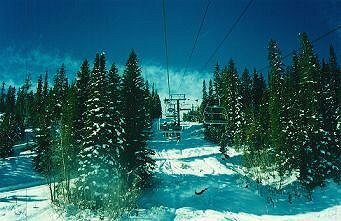 On the 26th January 2000, Glenn left these shores once again to spend a month in his second home The American Rocky Mountains, Colorado. Heading out to pick up where he left off in terms of down hill skiing and to try for the third time to cross the Great Continental Divide. This time the weather was with him, but his guide was not. 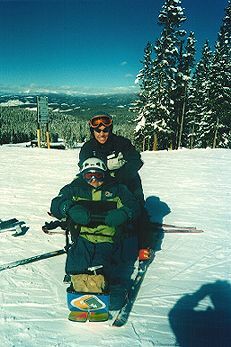 ...until Thursday 4th February 2000, Glenn was skiing a run when his instructor, who should have been behind him to act as a brake, overtook him. This resulted in Glenn skiing over his safety tether, being launched into the air, performing three barrel rolls and a slide upside down on his head covering a total distance of around 30ft. Fortunately Glenn wears a helmet which saved his head and neck. The only injuries Glenn suffered that day was a cut to his head, three bruised ribs and just to round things off he was knocked out. 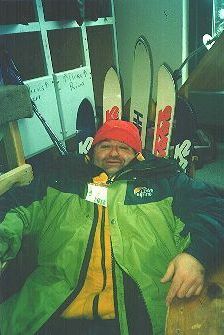 Apart from that Glenn was fine and with some help was able to pick himself up and ski the run twice more before going back to the ski area, collapsing in a heap and licking his wounds. The following day Glenn went back out on the slopes and skied for a further two days before taking a rest (he had skied for 11 days straight by that time). After resting with friends for a few days Glenn was skiing again and he had managed to find a guide that would run a dog team with him. Sadly this was still not going to be a crossing of the Great Continental Divide, but as a compromise he would run a team of dogs in Colorado's 'Back Country'. This trip was still demanding as Glenn and his guide covered some 8 miles starting at an altitude of 9,300ft and finishing at 10,200ft. 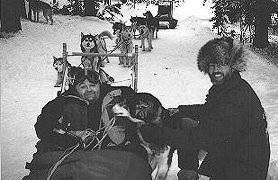 With bruised ribs, an unknown trail, guide and dog team, Glenn did have a lot to contend with and just to add the icing on the cake his guide managed to turn the sled over three time throwing Glenn out each time.